Some how I skipped a post, so I'm going back a day. 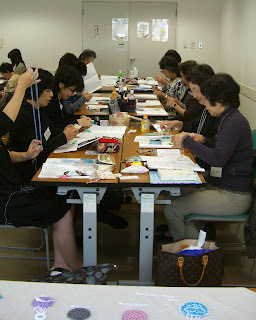 This is more on the second Tokyo workshop. There were 32 attending. I think this is the first of the workshops that I felt went real smoothly. In part, I'm sure because I became use to the timing and needs of my students. 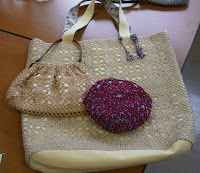 There were many tatting items shared at the end. Please remember I share these pictures with all due respect to the tatters and hope that any original designs are considered protected. 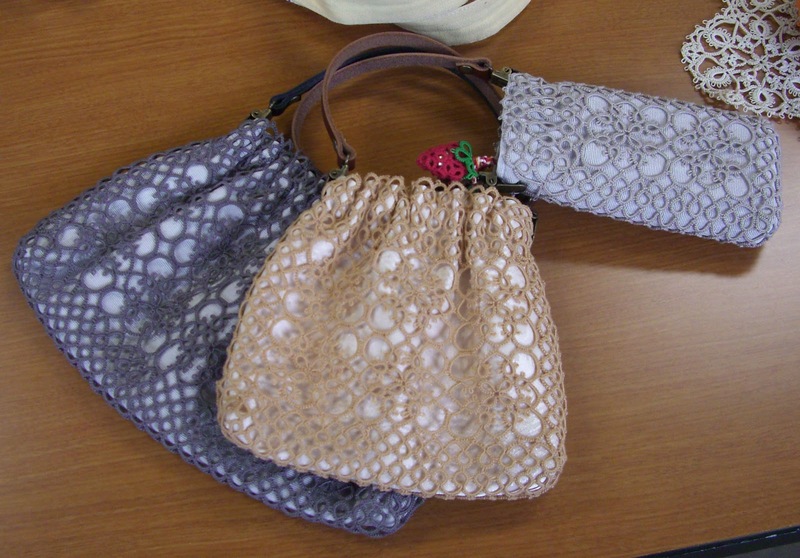 I really like the tatted and lined purses. I made a comment that I needed to know where they got their handles and one of the ladies graciously gave me one to take home. The handles are leather with suspender like clips at the ends. Has anyone ever seen these here in the US? 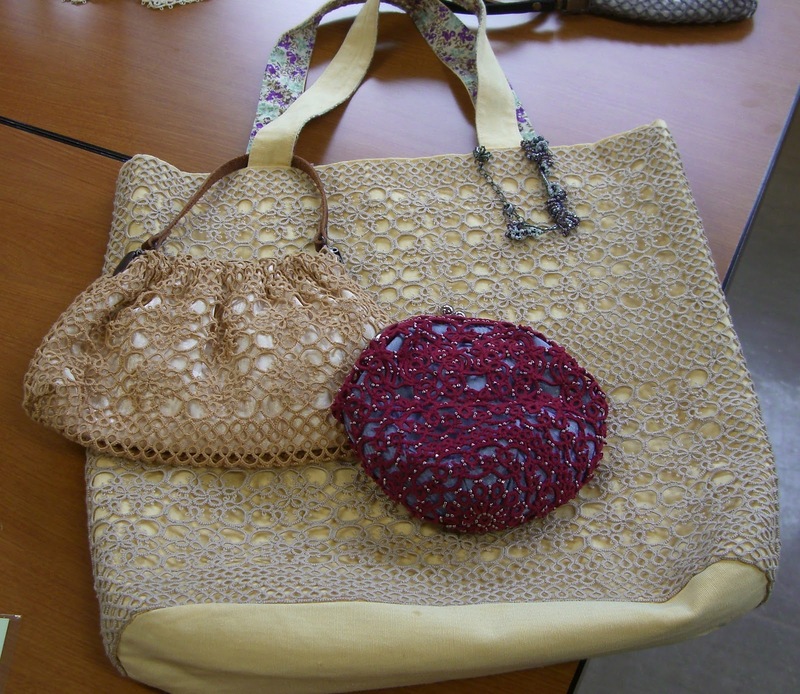 The strawberry purse was real cute too. 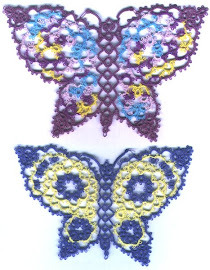 The Cat pattern on the right is an unpublished pattern by Pam Palmer. She did it for one of her trips to teach in Japan. I agree with you - those lined purses are really lovely. I have seen some beautiful handles here: at the recent Craft Show one stall, which was run by a Japanese family, was selling perspex handles which had strips of cute fabric inside - and you could buy the fabric by the metre to make a matching bag. If they are there next time, I will buy some, sadly they were very expensive and I had run out of money by the time I saw the stall.